236 pages | 200 Color Illus. 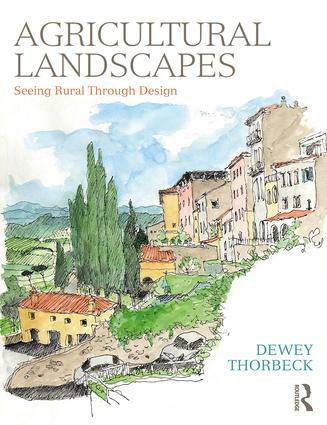 Dewey Thorbeck obtained his Bachelor of Architecture from the University of Minnesota and a Master of Architecture from Yale University. He then won a Rome Prize Fellowship and studied in Italy for two years. The recipient of a number of architectural design awards, he is a Fellow of the American Academy in Rome, Fellow of the American Institute of Architects, and past president of AIA Minnesota. Because of his rural design expertise, he was selected to serve as Vice Director of the organizing committee for the creation of the first World Rural Development Committee that will be managed by the World Green Design Organization established in 2010 by China and the European Union. Thorbeck is an Emeritus Adjunct Professor of Architecture at the University of Minnesota, Emeritus Founder of the Center for Rural Design sponsored by the College of Design and College of Food, Agricultural and Natural Resource Sciences, and now a Senior Research Fellow in the Minnesota Design Center in the University of Minnesota College of Design. His sponsored research work is focused on bringing design and design thinking as a problem-solving process to rural and urban land issues.